WEDNESDAY, Dec. 30, 2015 (HealthDay News) -- Chronic drinking combined with binge drinking quickly damages the liver, and is more destructive than previously thought, a new study with mice suggests. 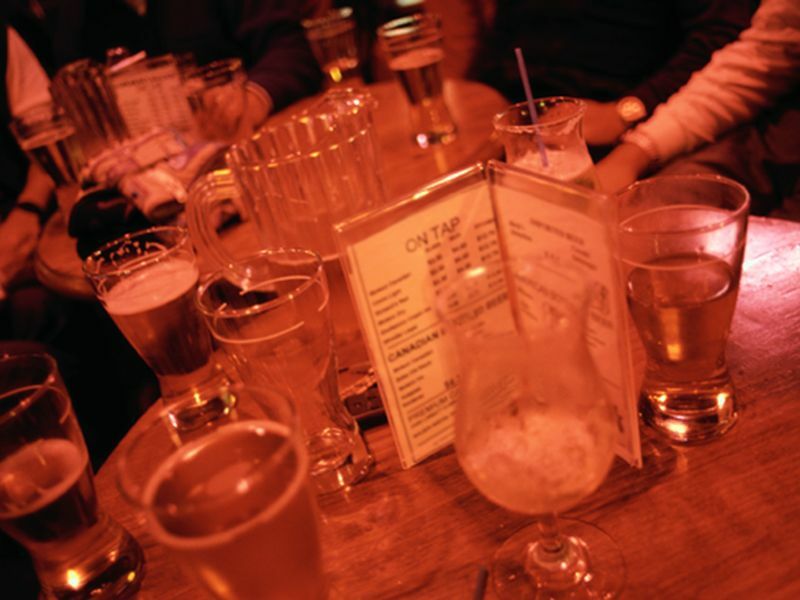 "Heavy binge drinking by those who habitually consume alcohol is the most common cause of liver damage in chronic alcoholic liver disease," lead author Shivendra Shukla, a professor of medical pharmacology and physiology at the University of Missouri School of Medicine, said in a university news release. "We know that this behavior causes large fatty deposits in the liver that ultimately impair the organ's ability to function properly. However, we wanted to understand the mechanism that causes this damage and the extent of the harm," Shukla said. "Our research focused on different forms of alcohol abuse and the results of those behaviors," he explained. Shukla and his colleagues looked at how chronic alcohol use, repeat binge-drinking episodes, and a combination of both affected the livers of mice over four weeks. Those with both types of alcohol exposure had the highest amounts of liver damage, the investigators found. Individually, either chronic alcohol use or repeat binge-drinking episodes caused moderate liver damage when compared to mice not exposed to alcohol (the "control" group). "This outcome came as no surprise," Shukla said. "However, in the mice exposed to both chronic use and repeat binge episodes, liver damage increased tremendously. Even more shocking was the extent of fatty deposits in the livers of those exposed to chronic plus binge alcohol. It was approximately 13 times higher than the control group," he said. While the study found an association between those drinking behaviors and accelerated liver damage, it did not prove a direct cause-and-effect relationship. Also, effects of animal studies are not always replicated in humans. Liver damage is not the only health threat associated with chronic and binge drinking, Shukla noted in the news release. "Drinking alcohol excessively can create an inflammatory response to the liver and other organ systems in the body," he said. "If those organs work at a lower level of function, then a whole host of physiological processes can be affected. It is important for us to understand the extent of damage caused by alcohol abuse, which also can lead to other health issues such as diabetes, cardiovascular disease and some forms of cancer."